The hip is a ball-and-socket joing that is essential to everyday activities, such as walking and going up and down stairs. It is responsible for flexion and extension of the legs. The hip joint has a good range of movement, and is very stable and rarely dislocates, even after high-impact trauma. The joint is surrounded by a tough, fibrous sleeve, called a capsule, which helps hold the hip and thigh bones together. The capsule is lined by a synovium, which produces a fluid that nourishes the cartilage, lubricates the joint, and allows fluid movement. The hip joint is moved by several muscles that allow you to rotate your hip and walk. There are many different causes of hip pain, and these depend on the case. Pain can be caused by a sudden trauma, or by repetitive improper movement. 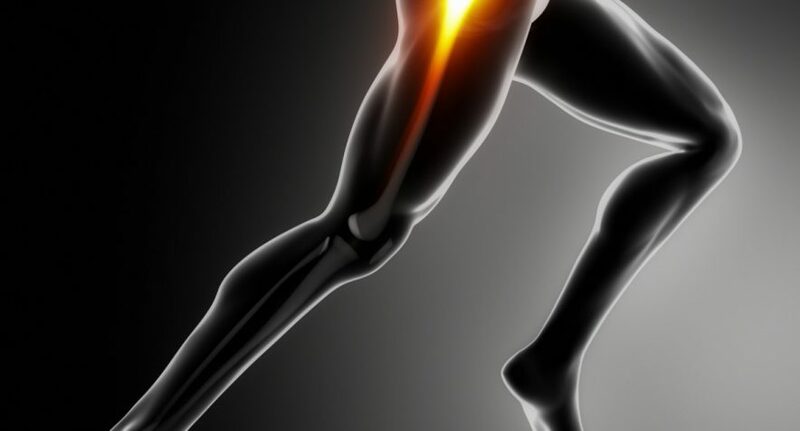 One common cause is osteoarthritis, a condition that affects the body’s joints. The surfaces within the joint are damaged so the joint doesn’t move as smoothly as it should. Your doctor will be able to tell you what has caused your pain, but the information and exercises here can be relevant for most cases. If your hip pain is affecting your activity and persisting, ask your GP about referral to a physical therapist or physiotherapist. Physiotherapy can help you manage pain and improve your strength and flexibility, which will focus the stress on your muscles, and relieve stress from bones and joints. A physiotherapist can provide a variety of treatments, help you understand your problem, and get you back to normal activities. Surgery may be recommended if your pain is very severe or if you have mobility problems. Your doctor will discuss what the surgery may involve, as these usually are determined on a case-by-case basis. If you’re overweight, losing weight can usually help release pressure from the knee joints. Low impact activities such as swimming, cycling, and using a cross-trainer are particularly good. This helps strengthen the muscles, and allowing the muscles take on more of the stress, and minimizing the joints from absorbing shock. Hip pain can be caused by several different things. Whatever the cause, exercise and keeping to a healthy weight are always good objectives, as these can help reduce symptoms. You can take painkillers to ease the pain. Taking painkillers can also help you stay active without causing extra pain during/after exercise.